Dee Dee’s Feathers celebrates New Orleans in a wide-ranging jazz album that explores the neighborhoods of NOLA and their respective cultures and musical genres. The album was even recorded at Esplanade Studios, located in a reconverted historical church that was damaged severely by Hurricane Katrina. It is overflowing with talent, featuring vocals by Grammy and Tony Award winner (for her 1975 role as Glinda in The Wiz) Dee Dee Bridgewater, Grammy-winning producer and trumpeter Irvin Mayfield, and backup by the New Orleans Jazz Orchestra. 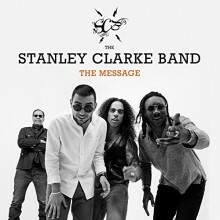 The album takes listeners on a musical journey through New Orleans. “Big Chief,” a traditional Mardi Gras Indian song, celebrates the Second Line with six minutes of lively horns and guest vocals by Dr. John. “C’est Ici Que Je T’aime” transports the listener to the French Quarter, where Irvin Mayfield has created his Jazz Playhouse on historic Bourbon Street. The title track, “Dee Dee’s Feathers,” is an incredibly fun original composition by Dee Dee, Irvin, and Bill Summers (of Herbie Hancock and the Headhunters fame). There is a clear Afro-Caribbean influence in the percussion, and an acapella section ends the song with great harmonies and vocal polyrhythmic layers. Other original songs on the album include “Congo Square,” which again features Bill Summers and African drumming, and “From the Lake to the River,” a composition by Irvin about Elysian Fields Avenue, the only street in New Orleans that connects Lake Pontchartrain and the Mississippi River. 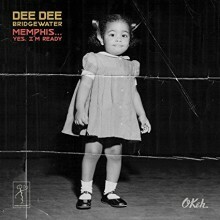 The album also features a stunning arrangement of Bloomington, Indiana native songwriter Hoagy Carmichael’s “New Orleans.” Starting with a muted brass solo, the song morphs into an impressive demonstration of Dee Dee’s incredible scatting skills as she imitates and then expands on the original melody. 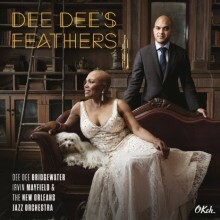 Dee Dee’s Feathers is bound to be a treat for any listener as it is bursting with musical skill while also recognizing the many cultures of New Orleans and the multitude of jazz styles that have arisen from the Crescent City.